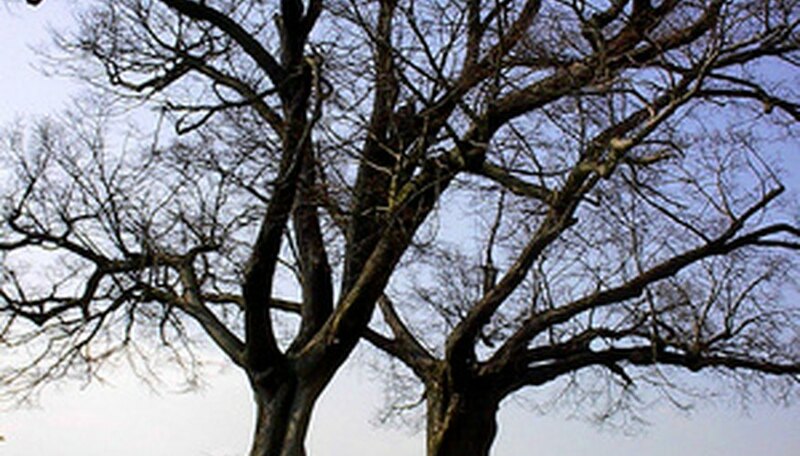 Linden trees commonly experience tree sap problems. These problems stem from parasite bugs called aphids. These small, soft-bodies bugs come in two versions, winged and non-winged. They reproduce quickly, but only live about two weeks. Linden trees provide the perfect habitat for aphids because they love to eat the linden sap. Aphids often attack linden tree trunks and leaves. They eat the sap right from the tree, and although they typically don’t kill it, they do cause damage. These aphids take much more sap then they need to survive that causes the tree unnecessary harm as well, according to the University of Missouri. When the aphids take large amounts of the linden tree’s sap, it prevents the tree from flourishing and thriving. In some cases, the severe reduction in sap stunts its growth. This lack of sap also makes the leaves turn yellow and curl, states the University of Missouri Extension. Sometimes when feeding off the sap, the aphids transmit diseases and viruses to the linden trees as well. Since aphid sap problems negatively affect the linden tree’s health, homeowners should be able to recognize the symptoms. Linden trees experiencing an extreme sap shortage show a clear, sticky substance on their leaves and the surfaces below the tree. This is from the aphids taking too much sap and secreting the excess as a sticky substance called honeydew. Since insects like flies and bees love honeydew, homeowners often notice swarms of these bugs around their infected linden trees. Saving a linden tree from sap-sucking aphids is fairly simple. A strong stream of water from a pressurized hose nozzle works well when homeowners catch the problem right away. Insecticidal soap sprayed on the linden tree also works well, according to the website Colorado Gardening. Thinning out linden trees often and pruning them every year prevents aphid sap problems. Aphids like thick habitats with a canopy of leaves. Keeping the trees from getting too thick makes them less attractive to aphids, according to the University of Missouri Extension.